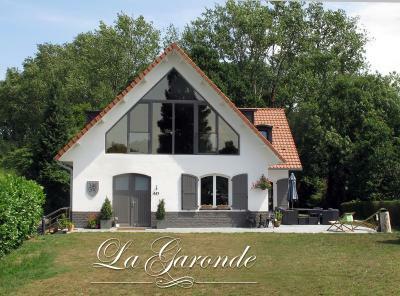 Lock in a great price for La Garonde – rated 9.7 by recent guests! Prachtigz locatie, wonderful spot close to the Abbey - wonderful panorama and wildlife to spot. Top comfortable rooms, outstanding breakfast. Simplement magnifique! The welcome was unsurpassed - the owners couldn't have been more pleasant and we felt instantly at home. They even phoned a local restaurant for us and booked us a local estaminet where we had an excellent meal. Breakfast was amazing - local produce, cheese, home made jams, fresh bread, croissants, fruit salad and a log fire burning on a relatively cool morning. Lovely neighbourhood and very relaxing ambience. We loved it and fully intend to come back. We had the biggest room with a huge window, wonderful to see the sunset and garden. Super friendly welcome by owners and son. 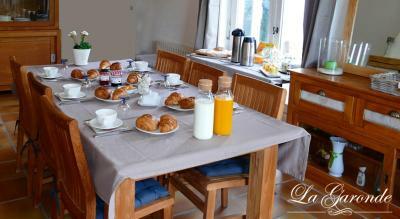 Shared table breakfast, great for meeting other guests. Free parking. Nice garden and woods. Good breakfast. Everything. Hospitality - Stéphane and Hélène and their family were wonderful hosts graciously sharing their slice of heaven. They offered great advice on the local places to visit and dine. They did a great job making sure everything was perfect for us. Rooms - brand new and beautifully decorated, the rooms are clean, bright and warm where you immediately feel comfortable and at home. Breakfast - traditionally French with lovely fresh food from local suppliers and farms. Fresh farm butter, baguettes from the local bakery, home made jam, local cheeses were all yummy and a great start to day. 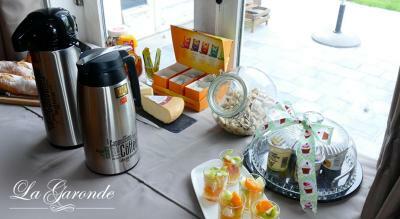 There was also locally made yoghurt, pain au chocolat, croissants, fresh fruit salad and tea, coffee and hot chocolate. 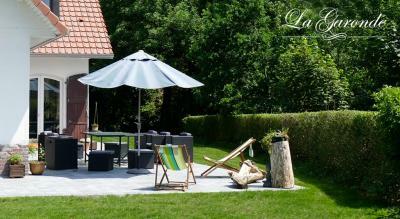 The surrounding area - the outdoor area is perfect for relaxing and enjoying a drink or two. 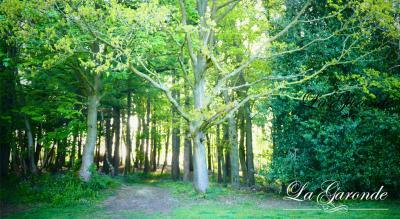 Lovely views of the country-side are a very short walk through a tidy wooded area. A clear day allows you to see for miles! We will be back! On a été reçu chaleureusement et comme des princes! 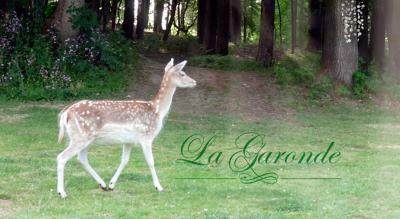 Featuring free WiFi throughout the property, La Garonde offers pet-friendly accommodations in Berthen. Free private parking is available on site. 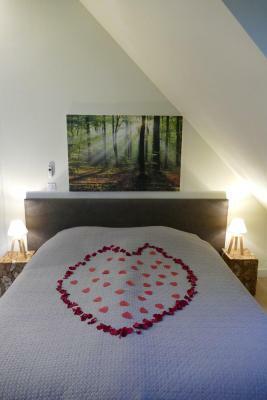 All rooms have a flat-screen TV, tea and coffee making facilities and a private bathroom with free toiletries, a hairdryer and a bath or a shower. The property has a shared living room and a garden with outdoor furniture. Breakfast can be enjoyed every morning in the dining room or on the terrace during nice weather. Evening meals can be prepared upon prior request. The area is popular for cycling and hiking. 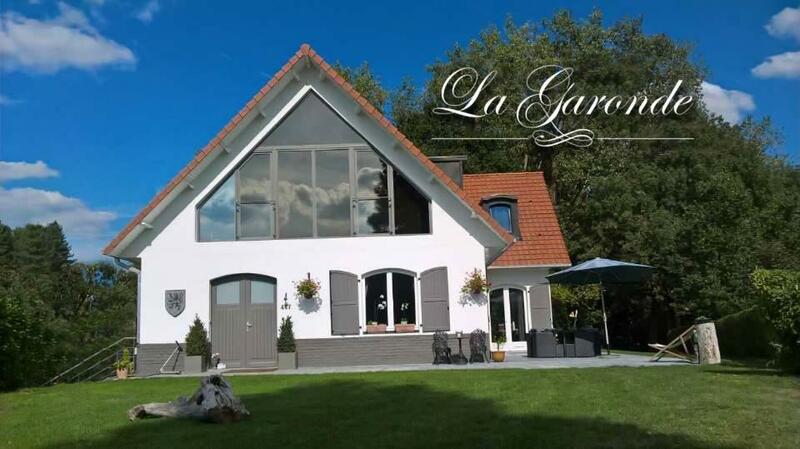 Lille is 20 mi from La Garonde, while Ypres is 9.9 mi from the property. The nearest airport is Lille Airport, 24 mi from the property. This property also has one of the top-rated locations in Berthen! Guests are happier about it compared to other properties in the area. This property is also rated for the best value in Berthen! Guests are getting more for their money when compared to other properties in this city. 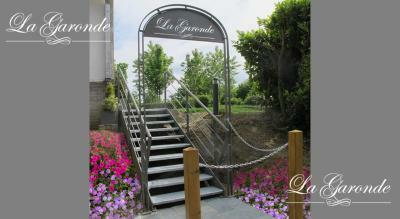 When would you like to stay at La Garonde? This family room has a soundproofing, tea/coffee maker and microwave. This family room features a flat-screen TV, executive lounge access and soundproofing. 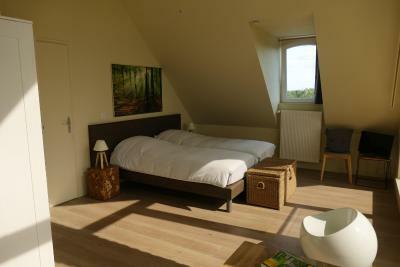 This twin/double room has a fireplace, seating area and garden view. 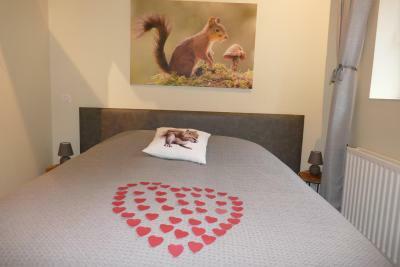 This twin/double room features a fireplace, soundproofing and electric kettle. 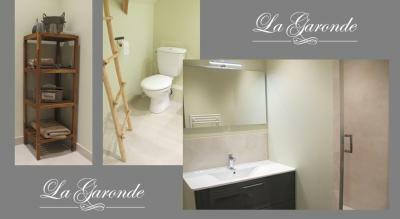 House Rules La Garonde takes special requests – add in the next step! Please inform La Garonde of your expected arrival time in advance. You can use the Special Requests box when booking, or contact the property directly using the contact details in your confirmation. Only negative is that it is not easy to walk to the local eating places if you want to eat out for an evening meal. That would not put us off though! Our beautiful comfortable room was above the dining/breakfast/sittingroom. No soundproofing what made we could enjoy the conversations coming from downstairs. Nothing - everything was wonderful! Thanks Stéphane and Hélène!